Hastings Priory Cricket Club coach Ian Gillespie hailed an ‘absolutely sensational’ bowling display from the team’s spinners in the win over Billingshurst. Jed O’Brien and Elliot Hooper took 8-26 between them as Priory bowled the opposition out for just 70 to clinch a 44-run victory. 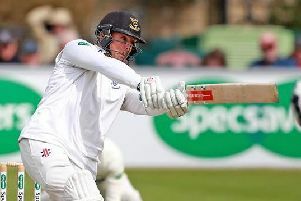 Gillespie said: “We bowled a top level performance. The seamers put the ball in the right areas and then the spinners took over. Elliot and Jed were absolutely sensational; they bowled beautifully and Billingshurst had no answer to it. “In the end a very comfortable victory, but not without its worries along the way. “It was a really good game to win. It was a very dry wicket and it turned a lot. Their seamers came at us hard and we lost a couple of wickets to quite difficult balls to play. “Elliot played particularly well and was probably the one player in the match who really demonstrated how to play spin on a turning wicket. “There was a little bit of support, but generally we felt it was a disappointing batting display. We should’ve been able to get 150 even allowing for the difficult conditions. Our batsmen didn’t really apply themselves as they should. Priory will be without influential all-rounder Hooper for the visit of East Grinstead tomorrow (Saturday). Play is due to get under way from 12noon at Horntye Park. Hooper, who is on holiday, has scored more than 500 Sussex Premier League runs and taken 17 wickets this summer. Gillespie said: “He’s bowling better and better as the season’s gone on, and he’s been the mainstay of our batting. He’s been the one player who week in, week out whatever the wicket, whatever the opposition, has looked capable of scoring good runs, and he’s done that. Fifth-placed Priory have a 28-point cushion over Preston Nomads in sixth with three games remaining.